Amazon has expanded its line of Kindle tablets yet again with this year’s version of the $379 Fire HDX 8.9. The device, which is the same size as Google’s recent Nexus 9 and a bit smaller than the iPad Air, is one of the slimmest tablets you can buy. 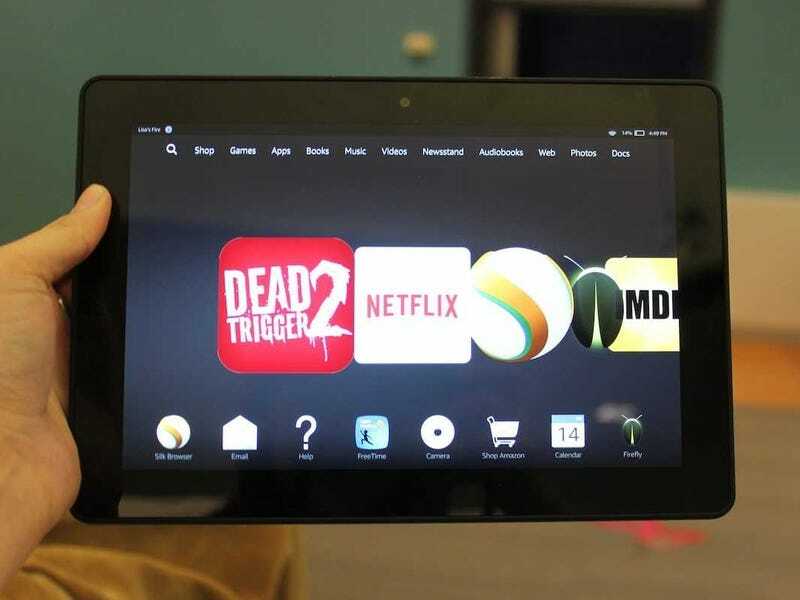 After spending a week using Amazon’s new tablet, here's what I came away with. The 2014 edition of Amazon’s new tablet comes with a 2560x1600 resolution display just like its predecessor and the Nexus 9. 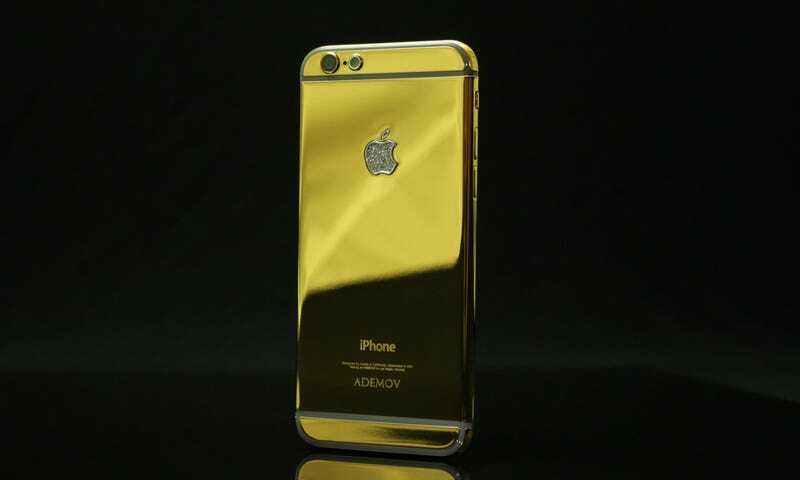 There’s an 8-megapixel camera on the back and 2GB of RAM, which the company claims will ensure graphics run smoothly. 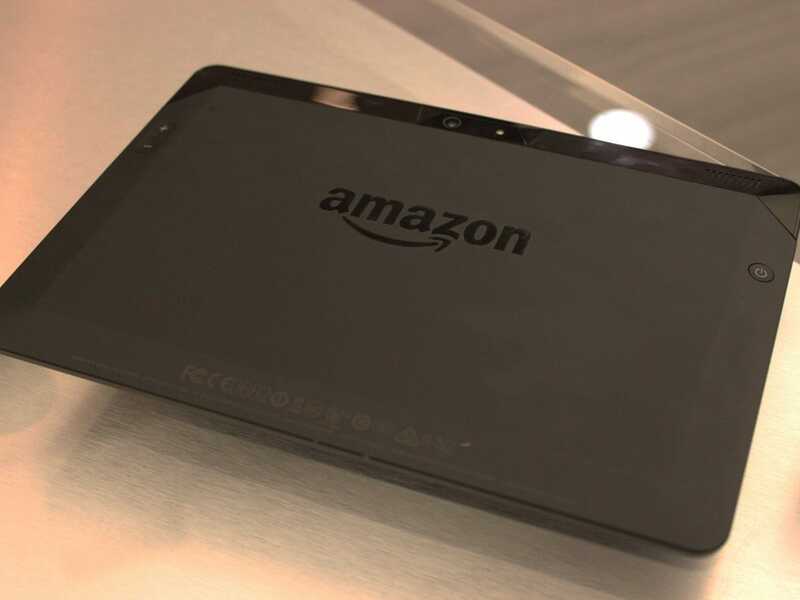 The back of Amazon’s new tablet is made of a soft, slick material that’s resistant to fingerprints, which is a plus. Both Google and Sony’s table! t were q uick to pick up smudges, so the tablets would look a little dirty after just a few minutes of use. The carousel layout is a refreshing — it's not the tired app grid layout you’ll find on most other mobile devices. Remember, the Fire HDX 8.9 is built for entertainment. 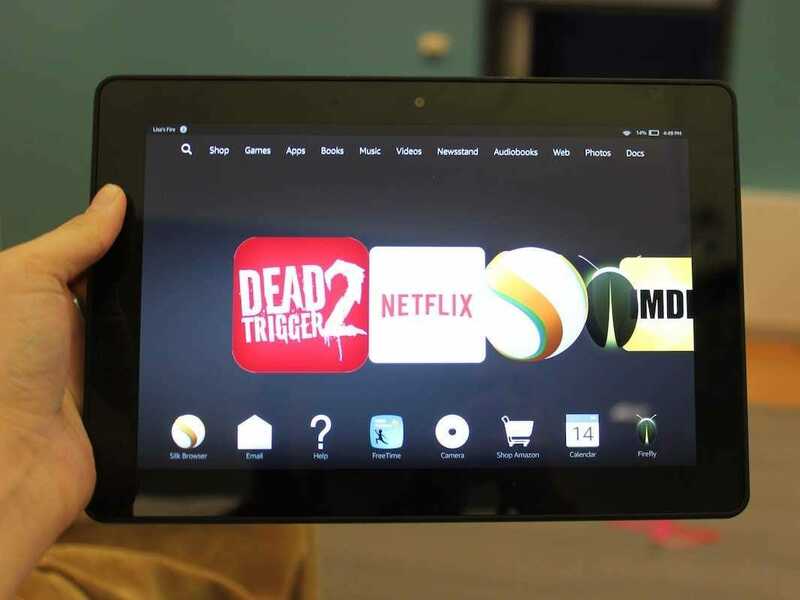 So if you frequently use Amazon Prime and love downloading movies, you’ll probably enjoy Fire OS.! Firefly is a newer Amazon feature that debuted on the Fire Phone last spring. Firefly allows you to use the device’s camera to scan barcodes on objects, business cards, and email addresses. 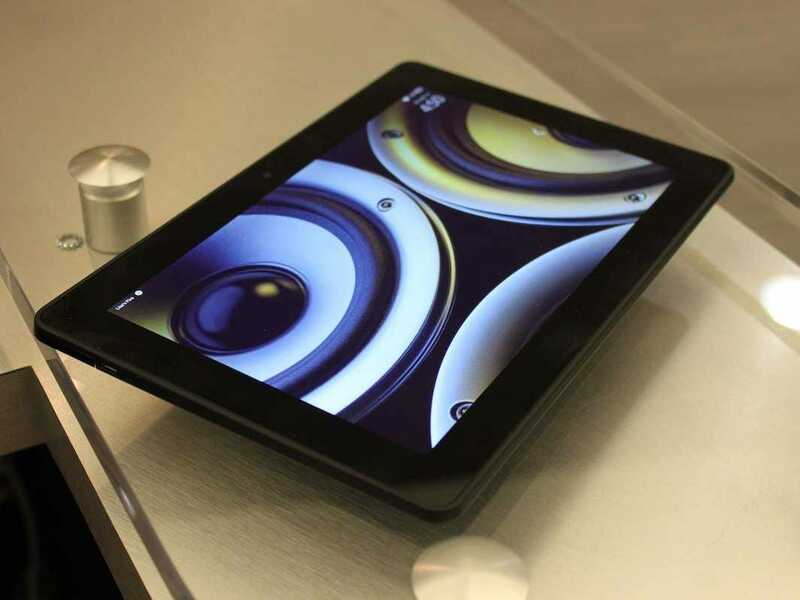 Once the tablet recognizes the object, it’ll either provide a link to save that person’s contact information or show a listing for that item in Amazon’s online store. 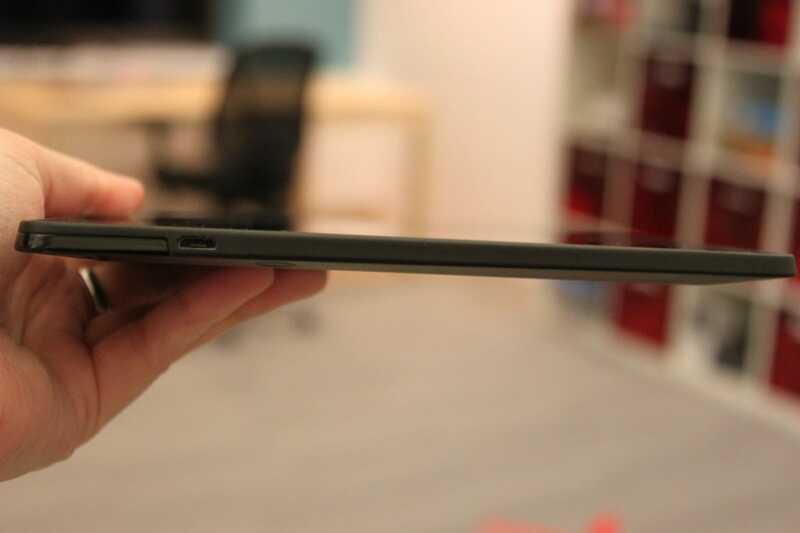 The Kindle Fire HDX's battery lasts quite long on a single charge. I was able to get two full days of usage out of the tablet before its battery completely drained. This included streaming a lot of Netflix, playing games like "Dead Trigger" often, and browsing the web. Amazon’s recently released Kindle Fire HDX is an excellent tablet for reading and entertainment, especially if you use Amazon Prime a lot. It’s super light — in fact it’s o! 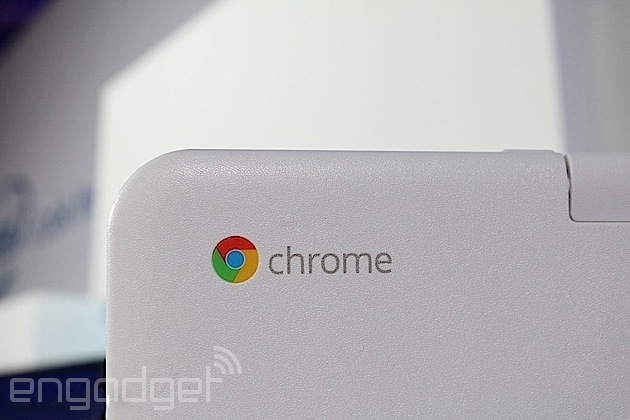 ne of th e lightest tablets you can buy — and the screen is gorgeous too. But, you’ll have to be okay with giving up access to Google’s gigantic app store. Amazon has it’s own app store with more than 240,000 apps, although that’s a relative small number compared to both Apple and Google’s stores which offer about one million apps. Most places around the world are getting ready to bring out the blankets and coats, in preparation for the cold, cold season ahead. Knowing this, a company called Cloud & Heat has come up with a very interesting idea, one that's beneficial to both it and the parties interested in giving it a try. In exchange for heat, the Germany-based firm is offering to put a cabinet filled with servers in people's homes. 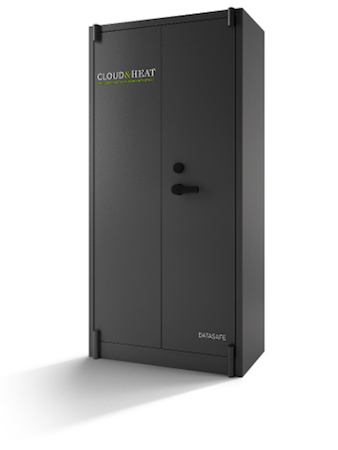 As Slate points out, Cloud & Heat isn't the only company working on heat-for-server-housing program, but others aren't as advanced in the implementation stages. Unfortunately, the service isn't free for home owners, since there is a one-time (undisclosed) installation fee. The good news: Cloud & Heat takes care of the electricity and internet bills, so the deal could turn out to be more than decent. As a recent South Park episode suggests, Parrot and DJI are the two most recognizable names in the consumer drone market right now, but they are about to face a new contender. 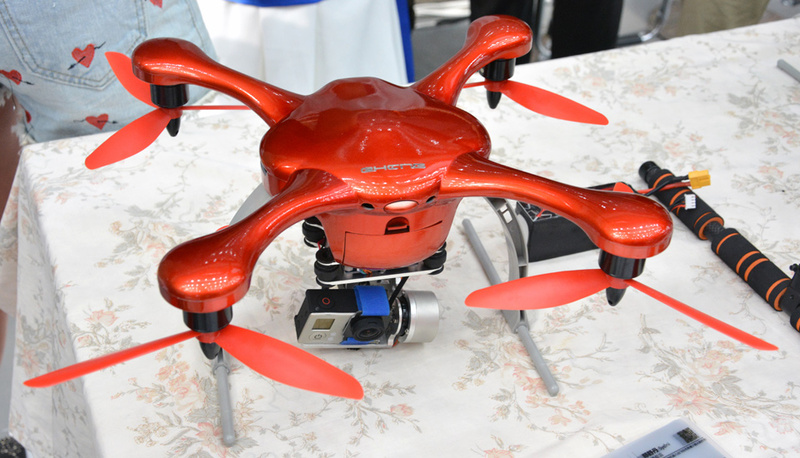 Merely three months ago, we met Ehang who showed off its heavy-duty hexacopter at TechCrunch Beijing; and now, the Chinese company is also pushing its more affordable Ghost quadcopter onto Indiegogo. While said drone has been seeded to select e-tailers since April, Ehang co-founder Derrick Xiong said the latest offering is no longer a "beta version," but rather a retail-ready package aimed at the Western market. Most interestingly, the starting price is now just $375 -- a steal when compared to the $679 DJI Phantom 2 with similar specs. The Ghost isn't just about pricing. First and foremost, this machine claims to be "the world's easiest drone to fly" on its website, and this is done so by replacing the traditional remote controller with a seemingly -- and perhaps overly -- straightforward smartphone interface (Android first; iOS compatibility due in March): There are buttons for taking off, landing, returning and hovering; you can tap on the map to guide the drone; there are sliding bars for adjusting the drone's orientation and altitude plus the optional camera's tilt and orientation. Thankfully, the app has a micro control pad -- surrounded by a handy compass -- to manually move the drone in its horizontal plane. The link between the smartphone and the drone is handled by the bundled "G-Box" transmitter, which gives a 0.6-mile or 966-meter radius range. To satisfy the more capable drone users, Ehang is already developing a proprietary 8-channel remote controller for the Ghost. Yes, "proprietary" in the sense that the drone won't work with existing controllers, in order "to enhance steering safety and smooth manual control." In addition to the above, Xiong highlighted two "breakthrough" features on the Ghost: smartphone-tilt control and an auto-follow mode that's starting to become the norm. The former is very much what it says on the tin: Once the Ghost is in the air, you can rotate and tilt your phone as if you're doing the same to the drone. As for the auto-follow mode, don't expect the drone to follow you while you're climbing up a cliff; it can only travel horizontally so use with caution. That said, Xiong hasn't ruled out the possibility of adding auto-altitude control as more phones come with a built-in barometer. Unlike the Plexidrone due in April, the Ghost doesn't do obstacle avoidance which is no surprise given its price point, but as you can see in the above video, there's work being done on a LIDAR module that may one day allow this drone to detect its surroundings. Until then, the auto-follow feature is best used in a clear area. Now that we've gotten the features out of the way, we can take a closer look at the drone itself. 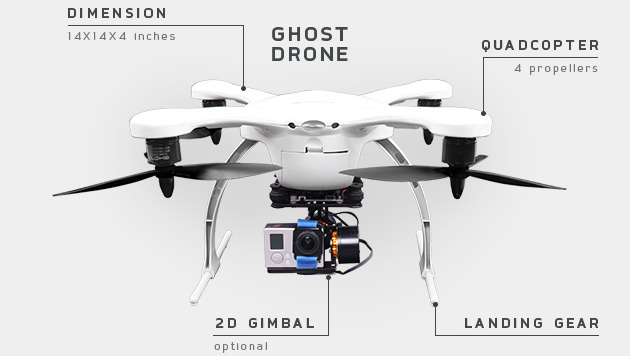 The Ghost can travel at up to 21.9 m/s, though it's capped at 4.47 m/s by default for safety reasons (for the record, the DJI Phantom 2 does 15 m/s max). Ehang claims that its machine can even fly in winds at up to 21 knots (about 11 m/s) without losing too much video quality, and it can also resist light rain. The interchangeable 5,400 mAh battery can last up to 20 minutes with the optional 2-D gimbal plus a GoPro camera installed, or up to 30 minutes without them (the Phantom 2 does 25 minutes). As we mentioned earlier, the basic pre-assembled Ghost is up for grabs for a mere $375, and you also get four propeller guards in the box. If you want it with a 2-D gimbal to go with your own GoPro Hero3 or Hero4 camera, it'll cost you $599; or pay an extra $380 ($100 off for early birds) to have a Hero4 Silver (normally $400) bundled with the package, making it a total of $979. These will all be shipped in as early as mid-December and no later than end of January -- unless you opt for a color other than black or white, should the Indiegogo campaign reach its $150,000 stretch goal. For the last option, there's actually no harm in considering the Phantom 2 Vision which is now only $799 (or $899 with an extra battery) and also has a two-axis camera, a traditional controller plus video stream capability to your smartphone. On the other hand, if you want to go beyond 1080p video capture while also having the option to reuse the Hero4 Silver on your next drone, then the Ghost would be a safer bet. If you've ever broken a bone, you know the process to recovery is slow and painful. Before she ever saw the inside of a lab, seven-year-old Tandon made a hobby out of taking apart her parents' tube TV, learning how each piece functioned and fit together, and putting it back together again. With EpiBone, 34-year-old Tandon has made a career out of putting things back together. But this time, ins! 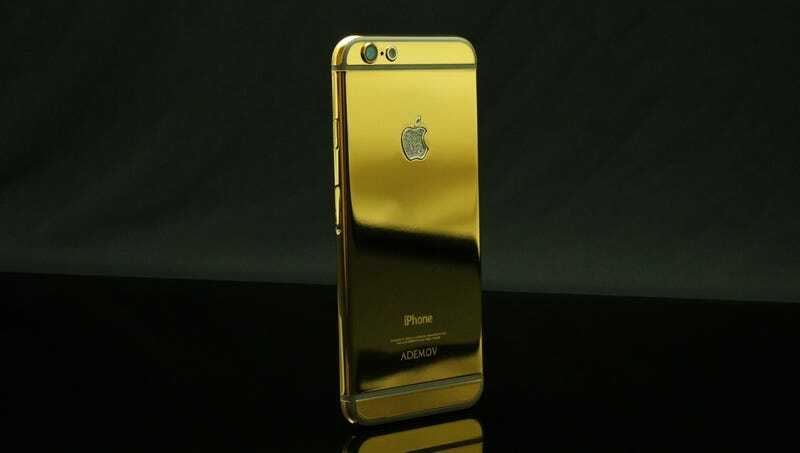 tead of cathodes and wires, she uses body parts. Now she's using stem cells to build personalized bones. "I see this as being a part of a bigger story that’s integrating biology into part of the supply chain," Tandon says. "We're starting to see biology as a technological partner way beyond just making medicines." Every year, some 900,000 Americans undergo bone-related surgery. For people who've experienced severe trauma, lost bone to cancer, or were born with congenital defects, the EpiBone process could dramatically change how they experience surgery and how they recover. First, Tandon and her team do a CT scan of the bone defect to get a complete picture of its exact size and shape. Then, using a procedure similar to liposuction, they take stem cells from the patient's fat cells. The cells EpiBone uses are called multipotent stem cells, meaning they are capable of developing into many different tissues, including bone. One of the major strengths of EpiBone is that its materials come from the body's own cells, meaning it's far less likely they'll get rejected compared to foreign bone or synthetic materials. 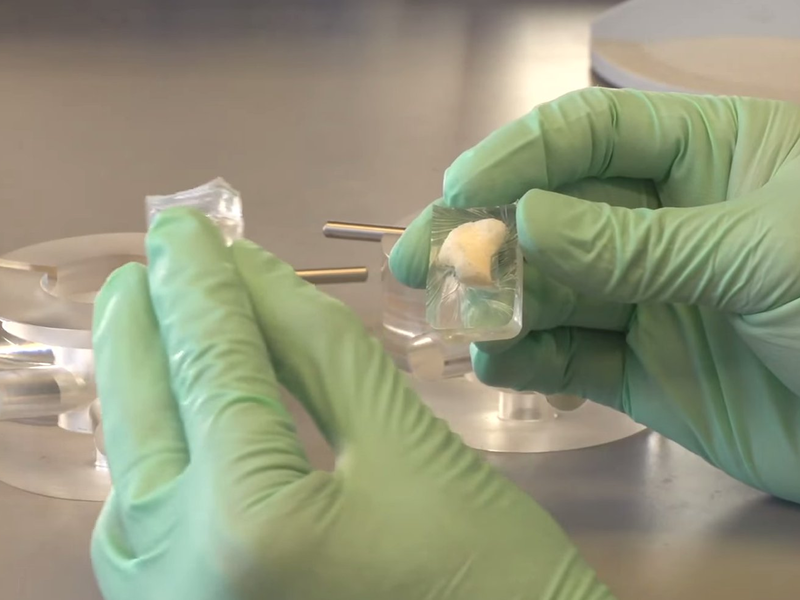 Once harvested, the stem cells are placed inside a sort of incubator, or bioreactor, where they can grow along a delicate frame of animal bone and cartilage. The bioreactor is "like a fancy fish tank," says Tandon, that "gives cells all the nutrients they need to make a perfect product." Inside, the cells develop into a living, custom-built implant in three to four weeks. Biomedical engineer Warren Grayson, who leads his own laboratory working on tissue engineering at Johns Hopkins University and is a shareholder in EpiBone, led the first study showing that bone grafts made from stem cells and grown in a bioreactor could work inside a living body. 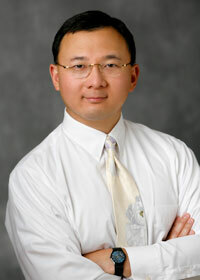 His team successfully grew a human jaw bone using stem cells from fat tissue. While Grayson clearly supports the technology, he says he sees "some challenges making it work in patients." The first challenge is getting federal approval. 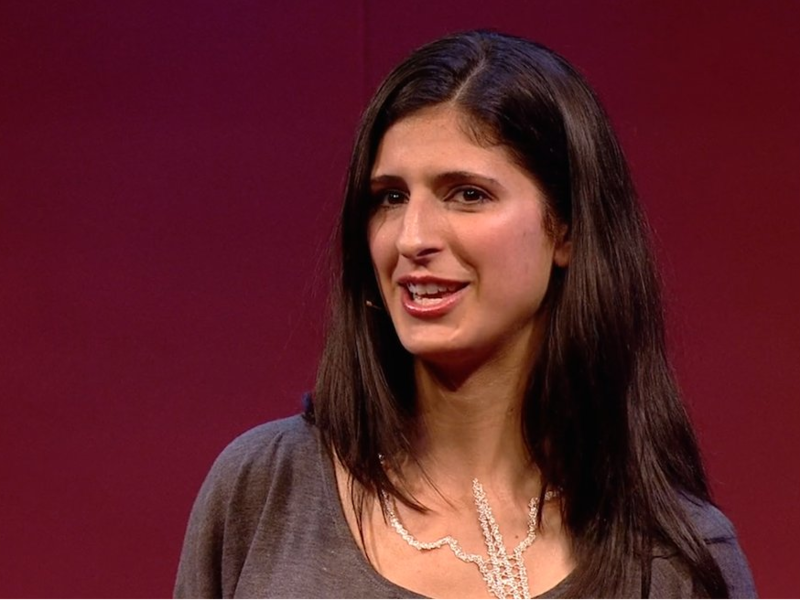 While Tandon has shown her technology works in animals, she hasn't yet tested it on people. The Food and Drug Administration typically requires years of lengthy trials before rubber-stamping any drug. Because EpiBone is a living technology, the barrier for getting the federal go-ahead will likely be set far higher, says Case Western Reserve University professor of biomedical engineering Steven Eppell, who's patented a different approach that doesn't require the use of living materials. Next is cost. Because each EpiBone graft would have to be custom-built with a patient's own stem cells, it will likely be expensive. One 2012 study pegged the cost of lab-grown bones at somewhere between $10,000 and $15,000, or about three to four times the cost of a traditional procedure. "If you're asking if I'd put my money in it, I don't think I would," says Eppell, who is likely banking on his own approach to the same problem. "But if you're asking if I think this is the technology of the future, yes, it definitely is." Tandon's technology could be implemented in people as early as sometime in the next 5-10 years, she says. But there's a lot that would need to be shown between now and then. So far, EpiBone has yet to test its specific process in humans, but the technique of using stem cells to grow bones has been demonstrated in humans in seven clinical studies. Still, because of the variety of techniques and studies used to test the technology in the past, it's been difficult for scientists to determine how well the technology works and if it's ready for broader applications. Most of the studies have been small, for example, and the researchers didn't always compare the patients who participated in them with control patients who received traditional surgery or no surgery at all. For some of the earliest studies, researchers didn't maintain contact with patients long enough to perform longterm follow-ups of their procedures. And some of the surgeries involved using stem cells from bone marrow rather than fat tissue, which is the technique Tandon uses. Tandon's team plans to test their product in human patients for the first time within 18 months. In the meantime, they must demonstrate that the technology can work. The company hired its first employees this month and are still in the process of moving into a bigger, newer space in New York City. Once they're settle! d, they' ll be spending the next year and a half doing more tests and trying to build larger, more complex bones. "The time of building with living cells has arrived," Tandon says. When it comes to the Chromebook, Google isn't shy about its beliefs that it is the perfect computing device for education sectors around the world. And here in the US, schools and students have started to feel the same way. In a blog post, where it highlights different ways in which educational institutions in California are using Chromebooks, Google pointed out that recent IDC numbers have its line of computers as being the best-selling device in K-12 education. 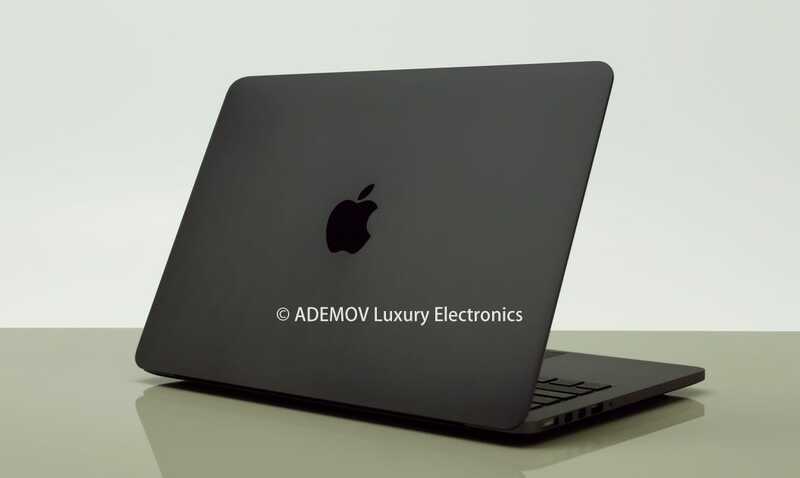 The report takes into consideration laptops and tablets, so this is a notable achievement for the technology company. Some school districts like Montgomery County, MD, for example, are using over 50,000 Chromebooks, and that's after only beginning adoption earlier this year. But Google isn't quite satisfied, as it wants Chromebook to keep reaching even more students and schools -- especially outside its home soil, where resources are particularly limited. Maybe third time's the charm. 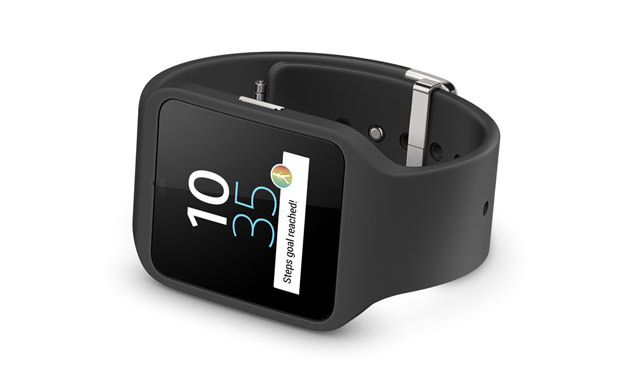 Sony's first Android Wear device is smartwatch number three, and it's gone on sale today, priced at $250. There's no circular screen, but there is a healthy does of IP68 waterproofing and a built-in GPS. Features like this could make the SmartWatch 3 arguably the most outdoors-friendly of the Wear crowd, even if its relatively meek design doesn't turn that many heads. Mozilla knows what's up. The non-profit is aware that the vast majority of its users think that privacy on the internet is falling apart, so it's launching a new strategic privacy initiative called Polaris. And you'll never guess who's on board. Just kidding, it's totally obvious: the Tor Project. What if you could paint with your shoes? 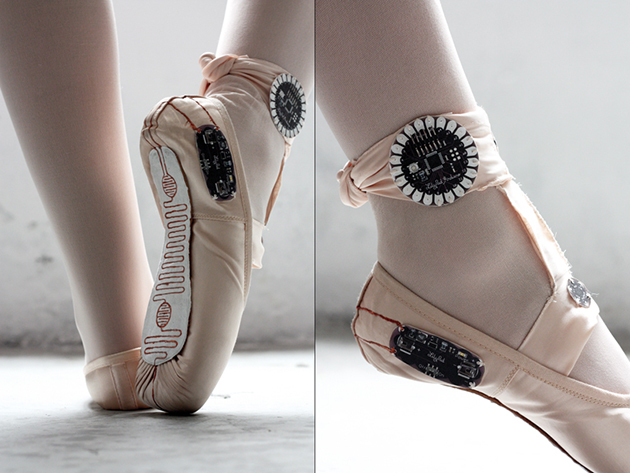 Electronic Traces is a pair ballet pointe shoes that sends a dancer's movements to a nearby smartphone. Using Lilypad Arduinos, they record pressure and movement whenever they touch the ground. This data can then be visualized by an accompanying app, allowing dancers to view their performances after the fact, or compare them to others'. Electronic Traces is the degree project of Lesia Trubat, a designer who graduated from Barcelona's prestigious ELISAVA design school. Turbot has high hopes for the shoes, hoping the methods applied can be of use to other dance disciplines, and that they can aid in dance classes. Additionally, they could be used to bring an additional visual layer to dance performances, as demonstrated in the video below. Everyone's favorite mini-computer has just gotten even smaller. 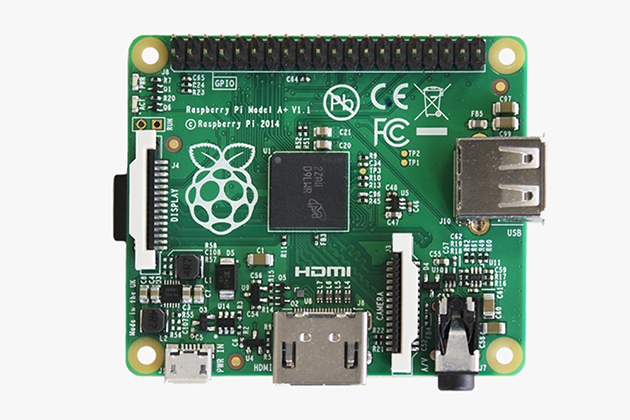 The Raspberry Pi Foundation is today introducing the Model A+, a revamped version of its low-end Model A board priced at just $20 (£20 in the UK). While the processor and RAM -- a Broadcom BCM2835 SoC and 256MB, to be specific -- remain the same as its predecessor, the new model is far smaller at just 65mm (2.6 inches) in length versus the old model's 86mm (3.4 inches). 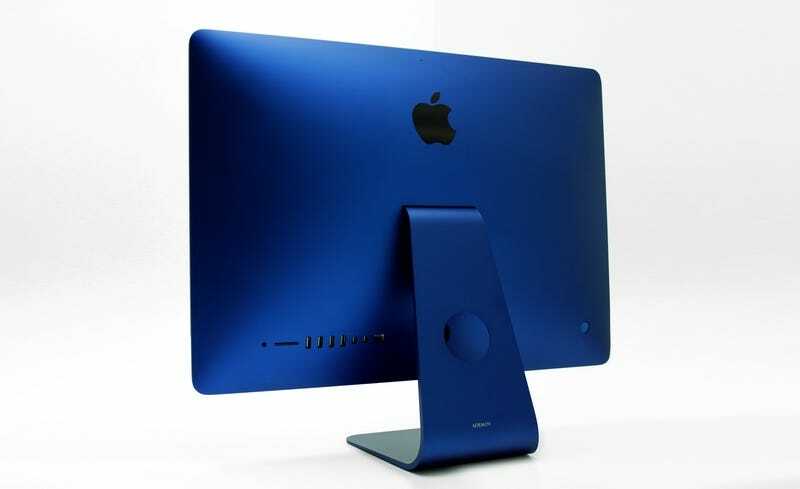 It also draws less power and has improved audio circuitry. The two other changes are directly taken from the higher-end Model B+. The Model A+ replaces the A's SD Card storage with MicroSD, and adds another 14 GPIO (General-purpose input-output) pins, bringing the total up to 40. This increase facilitates compatibility with the add-on boards introduced back in July. The Model A+ is available immediately in both the US and the UK, and while the Pi might not necessarily need to be any smaller, cutting down on size and price will definitely help get the foundation's work into more peoples' hands.